In the world of racing drones the requirements are for small and lightweight components. The FS-A8S receiver fits these requirements superbly, being only 20x14x5.3mm and weighing 1.2g. 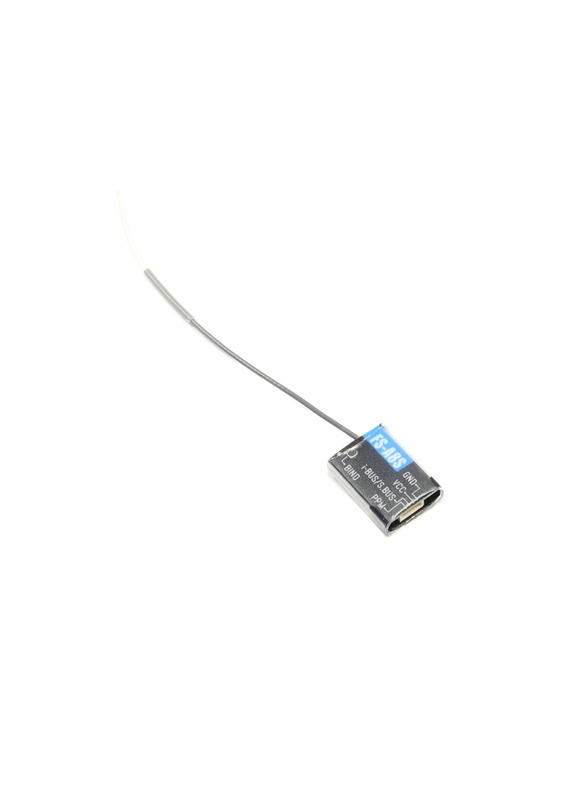 The FS-A8S is built for use in micro drones and is a 1-way receiver (no telemetry). It uses the extremely stable AFHDS 2A (Automatic Frequency Hopping Digital System) protocol, supports standard PPM output (8CH) and has i-BUS / SBUS support for up to 18 channels. The advantage of PPM/SBUS over traditional PWM channels is that you only need to use one signal wire, rather than one for each PWM channel. Because of its micro size, it's ideally suited to micro quads like the Tarot 130 racing drone. Note: This item doesn't support failsafe.